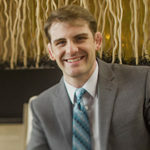 Justin: Welcome to the Dental Marketing Guy show, I’m the dental marketing guy, and today we have an amazing amount of value to offer, right now Spencer Peller, he is the founder of YesTrak.com, an amazing company that’s doing amazing things for your practice. If you haven’t heard of this yet, get on board, because there is a thief in your dental practice and it’s called voice mail. How’re you doing Mr Peller? Spencer: Doing fantastic thanks Justin, that was a great way to put it, a thief, I love that. Very well said. Justin: it really is! maybe you can tell us a little bit about the history of Yes Track, and kind of the biggest problems that dentist practices face in answering inbound calls, and how that breed YesTrack.com? Spencer: yeah, so that’s an interesting story. We started a company called ‘MyDoctorCalls.com’, in 2011, and really that was a call tracking – call recording company, where we would provide numbers, a you know in marketing, and people would use those numbers in different ad-vehicles and record the calls to see how the staff sounded, that kind of thing. So it was a training tool and an ad-tracking tool, and as we launched the business, it was so interesting to have these doctors call us and say “wow, I’m listening to these phone calls and every time the voice mail comes on, people are hanging up the phone, what do I do about this voice mail situation?” right, so at the time, super focused on ‘My Doctor Calls’, I said ‘you know what being the smart business man that I am, or that I am not, I’m gonna go and find an answering service to go partner with and I’m gonna go refer business to an answering service, right?, so I can offer this solution to our clients’ And so as I went out there, I was amazed at how antiquated these answering services where, they get started in the 70’s when doctors needed to be paged at 3AM when they needed to go to the hospital, and they haven’t evolved much since. So, I really had a hard time referring business to anyone. So, that was kind of the genesis of saying ‘hey, you know, I better launch something, because this is the real opportunity of being able to go out and actually answer he phone for people’, because the biggest complaints I got from doctor’s offices were; number one – they were losing business because of voicemail, number two – their staffs were super swamped, right as you know, you go to a doctor’s office, the staff member is checking people out and is managing a schedule and turning people away and then turning around and answering a phone and on the line is a call from a $5000 patient, and they’re put on hold or, you know they just don’t have the time to focus on the call. So, voice mail and staff that were super swamped kind of said ‘hey, they’d love a good outsource solution’, so Yes Track became the solution that we could offer those practices, to kind of help them with, as you said, this ‘thief’ that’s stealing their revenue’s from them. Justin: yeah, maybe you can tell our listeners, why is voicemail a thief, why is it so bad for dental practices? Spencer: Well, the simple fact is that 80% of people hang up on voicemail, and that’s been tracked by big companies, Forbes actually was the one that came out with the stat. And in our research in recording calls, we’ve found that stat to be completely accurate. So if you think about it, you’ve got a call comes in, you’ve missed five phone calls, right, that means you’ve lost four of those opportunities. If a dental patient equals $5000, that’s $20 000 lost, on 5 phone calls you missed because of voicemail. The reality is, people just don’t leave messages anymore, in fact, Coca-Cola, JP Morgan, have all gotten rid of voice mail in their offices. Now when it’s you and me calling each other and you don’t answer my phone call and I get your voicemail, well I’ve got your cell phone number, I’m gonna turn around and send you a text message, say ‘hey, trying to get in touch with you, give me a shout back’ right, when you’re calling a local business, and you’ve spent the time to research the top three dentists in your town and you’re ready to do business, and calling through and you get that voicemail, you’re not texting that doctor, you don’t have his cell phone number, and you don’t have the time. You’re going to call the second person on your list and the third person on your list. In fact, ‘Inside Sales’ came out and said “35-50% of people will choose the business that responds first”, right, so it’s like voice mail is causing them to hang up, and you’re not only loosing that person for a moment, you’re losing them forever, because they’re going to call the next doctor, whoever answers the phone is going to get the business 35-50%of the time. Justin: yeah, it’s a pretty catchy tittle, but don’t judge a book by the cover. Spencer: I was in better shape back then on that cover actually, so I got to start working out again. Justin: You’re not even as big as the phone though man, come on! Justin: you’ve got to lift some more weights! Justin: let’s get up with the times here, I think that’s the first introduction is; if you don’t know that this was done via Photoshop, you probably still going with old answering machine. Justin: they might not even have an answering machine. Yeah, I mean you talk about empathy, which is huge in dental marketing, because, it’s been said ‘if people don’t care what you know, until they know that you care’, and I think that’s really important in dental marketing, is, how does the dentist show that they care? And one of the ways that you can do that is through a service like you’re own. I mean, this doesn’t really take a lot of work on the dentist’s part. Tell us a little bit about how it works? So, a phone call comes in and then you send them an email or a text message, how does that work? Spencer: yeah, so great question and great point by the way. Yeah, you show them you care number one; by actually answering the phone, right, so that’s step number one. Step number two is; what makes us really unique is we give you choices of what you want us to say, in fact you have to choose a different script right in our system and you can edit what we say on the fly so that it meets your brand and your verbiage that you like to use, and it’s all real time from you’re smart phone. So, imagine you want to change your script tonight, on your way out the door, you go to your smartphone, you type in what want us to say, and we’ll say in on that next call for you. And then you’re getting text messages and emails, so that you never miss opportunities, because the call is coming , you know it’s being captured, it’s going right to your cell phone, in a text or an email, and you can literally turn and be like ‘wow, I’ve got to call this perspective patient, or my existing patient, right now this is urgent’, or you could say ‘you know what, I’m eating dinner, I could call that person back tomorrow’, so it gives you the opportunity to prioritize, but what’s most important is, it gets your caller into a revenue flow, meaning; you’ve answered the phone, they’ve given their name and number, they know someone is going to call them back, they can check the box that says, ‘okay, I’ve chosen my dentist, I’m going to get a call back, I don’t have to call somebody else, I know I’m in the revenue flow here’, and that’s really what’s most important. But, the difference between us, and say; traditional answering services, is if, anyone that’s watching this has ever used one, you know it’s like you get a choice of script, it sounds like a robot, there’s really no technology between you and the answering group, you don’t get text messages, they’ll send you a fax or an email, it’ very antiquated, again 1975, we’ve really stepped up the technology and the flexibility of how you can control what our agents say, and give you the customers that you’re looking for. so, yeah it’s been a fun ride, we’re two years old, we’re growing every day, we just keep adding new stuff to it, we are a technology company so we’re super proud about it. And it’s been a lot of fun for sure. Justin: yeah, that’s great. So, for those dentists listening that have poured you know, a lot of money into SEO, a lot of money into direct mail, radio, TV; whatever it might be. If you’re spending say, pulling a number out of the air here, say $2000-$3000 a month to market your practice, but you’re not picking up the phone when those perspective patents are calling, your studies show, that, like you mentioned before the Forbes and all of that, that 80% of people are hanging up on voice mail, so that’s kind of like, saying 80% of your money is going down the drain. Spencer: yeah, right. Well even more then that because you figure if you’re dropping $2000, your hoping that you get $10000 back, and right? or you’re hoping you’re getting $20000 back if it’s really popping, we’re talking lifetime value right, we’re talking the lifetime of the patient, and then you’ve got referrals and all of those other things that happen, right? So if you’re spending $2000 you want that to again, generate into $10000, $20000, whatever that number is, to spend that money, and then not spend $200, which is our average spend on our service, to make sure the phones’ getting answered, like 10% of that to cover this thing that says ‘hey, I’m not going to lose the 80% of this’ right, so the math is really, it’s very straight forward, and I hate to say this , that it’s a ‘no-brainer’ because people say ‘well you’re biased’, yeah I’m biased, I am biased for sure, but people who use our service tell us that ‘gosh I had no idea how much business I was looking at 5:30 at night, or on a Saturday morning, or at lunch hour, when I was turning people over to that voicemail box’, so again, to add another $200 on top of your marketing to make sure that $200 turns into $10000 or $20000, again the ROI gets pretty massive. Justin: yeah, and so you can do, according to the number, if the phone lines are busy, after hours, you know, it’s not just during a set number of hours, it can also be set up with the company, so that like if after 3 rings it can go to your after hours, so if your front office is doing something, this can be, wow, I just realized, this is probably the easiest sales pitch to a front desk office, and the front office, the job of the front office, is to shield the dentist from sales pitches half the time. Spencer: that’s right, it’s so funny, our biggest proponents are front desk workers who are just tired of like, trying to figure out how to scramble to do all these things and make sure the calls are answered and say the right thing, and then have that smile, and then know the next morning and have to deal with whatever happened the night before or during lunch right, it’s like knowing that there’s, and we have over 500 different agents that take calls, knowing that there is a team of 500 people behind you, not to take your job, just to pick up the slack where you can’t get it, whether it’s after hours, or during lunch, or as you said, you can route the phone so that if it rings 3 times, to the front desk, they don’t answer, it goes over to us. It’s just nice and I always say, we’re any department you want us to be with our scripts we’re you emergency department, we’re you’re billing department, we’re your customer service department, we’re you knew patient intake department, with our system, you can create as many different scripts as you want, we can play whatever role you want us to play, also makes your organization look a lot bigger and allows that kind of first class customer service that today’s caller is really expecting from you. Justin: that’s excellent, I mean. So, to our listeners, this is a hardball questions, not scripted, I’m throwin’ it at you, right here. Spencer: fast ball coming at me, what is it? I hope I’m ready, I’m ready! Justin: this is the warning for our listeners, this is as much notifications you’ve been given, Spencer. This is obviously amazing for new patients, now what about for existing patients who call, what do you say to that? Spencer: I’d say it’s depending on your budget, right? because some practices are super successful and they just want a live voice and they don’t mind paying, you know you’re paying between $1-$1.50 a minute depending on how many minutes you do, you’re paying for us to talk to your callers, right? For new patients it’s a no-brainer, right? Because you don’t want to lose them, right? For your existing patients, well, it depends on your budget. If some people are really scrambling trying to make ends meet and they’re saying ‘well you know what, I don’t know if I want to deliver the first class experience at that price, for my existing patients, maybe I just focus on the new patients for a while’, great, but for other practices, and we have a lot of clients say ‘I want you to take every call live, I don’t want any of my patients getting voicemail’, and for those types of clients it certainly makes sense. Justin: that’s excellent. And so when you say the average is $200 a month, that’s about 150-200 minutes per month? Spencer: exactly, and if you do the math on it, it generally comes out, then again it’s nights and weekends, you know, you’re talking 60-70 calls a month, so there’s nights and weekends, so typically, our clients use us nights and weekends, and lunch hour, we do have clients that spend well, you know $500 or more on our service, but again those guys are doing a lot more marketing and they’re sending a lot more calls our way. So you know, I’d say $200 is our average, but some clients spend $60, we take 5 or 10 calls a months for them, so where just kind of you know, an emergency service when they need it. But on the average it’s $200, if you’re a busy practice, I’d say maybe it’d get into the $300-$400-$500 range, but, again, if you’re a busy practice and you’re doing that much marketing, you’re probably spending $2000-$4000 maybe even $5000 a month on advertising, it becomes 10% of that and well worth the cost to make sure you’re capitalizing on that marketing. Justin: excellent, great. And so, where can we find you, and just tell our listeners basically, I mean I’m sold on it, I’m trying it with a couple of clients of mine here pretty soon and yeah, just tell us where we can find you and lets go from there. Spencer: yeah, I mean, listen just go to our site, it’s ‘YesTrack.com’, go there and you can sign up an account, it takes two minutes to get started with, you’re up and running quickly with us, or call us ‘1800 620 5877’, for you radio advertisers, you know you got to say it a couple of times. Anyway, so those are the phone numbers, we also got $50 fee free, just tell us Justin sent you and you saw us on the hangout here, on the video, and we’ll through $50 fee free at you, and there’s no contract, in fact, I’m so proud about this, I tell every client, if you don’t like our service we’ve created a little button in the billing area, you click a button and your account is disconnected. I get so frustrated with services that are like ‘oh, no contract $50 free’ and then you go to call them and it’s 30 minutes on hold and you’ve got to be transferred 5 times and then they try to re-pitch you a hundred times. You don’t like us, you click a button, in fact, we’ll even save your scripts in the system, because some of this is even seasonal, we might answer your phones for a month, while you got some staff members out right, so we’ll literally save your scripts so you can come back to us, so it’s super easy to use our service. Justin: that’s amazing, so yeah, if a front office goes on maternity leave, I had this happen with a client, where if their numbers are down, they’re like ‘our numbers are down’, well the front office was on maternity leave, we’ll that makes sense because you’re probably getting calls and not answering them, so this might help with that. Spencer: 100%. A lot of our clients are people that, their changing over some staff members, they’re short staffed for a little bit, again, that’s why I said earlier, we are 500 people sitting by a phone, waiting to do whatever you want us to do at the click of a button, you know. It’s phone answering on demand, which , you know and I know in today’s technology world, it’s all about being able to set something up quick and tear it down quick and have the flexibility from your smartphone and that’s what this is, exactly what this is. Justin: excellent, well to our listeners, I hope you’ve learned something. Obviously, you didn’t learn anything new about how important it is to get new patients, but hopefully you learned something about getting those new patients. A couple of episodes ago, we talked with Dr Christopher Phelps, a ‘Practice on Fire’ speaker, voted best speaker at that event last year, he’s speaking again this year. We talked all about call tracker ROI, and his service about, he said ‘many dentists’, if you watch that episode, he tells us how many dentist feel like ‘well, I don’t feel like I’m missing any calls’ and he talks the Pepsi challenge with them, and he says ‘look, don’t pay me upfront’ and however he works it, and he says ‘this is a challenge I’m willing to take with you, I’m willing to lay down my services’ and what happens, every time, is, they find out there is a lot of calls that they are missing and, you know, I think a service like this goes really well with that, that service. Spencer: I agree, and you know, you and I have had this talk before, and that’s what I love about you, is that you get that, once you start your marketing, the first thing you’ve got to do is, kind of look internally and see what your processes are, because laying all those dollars on a process that’s broke is like building a house on a bad foundation, right. So, we’ve got to get the foundation is right, so what is your staff saying when the phone rings, whose answering the phone when your staff doesn’t answering, and what are you doing with your follow up sequences to get people in the door and the reminders and all that kind of stuff, because layering on lots marketing when the house isn’t built on a solid foundation is going to deliver a lot of cracks, right. However, when the foundation is super solid, the flow of the inpatient, is working the way you want it to; then you can start stacking up the marketing, you can really see it get exponential with Dental Marketing Guy, because you know you can handle it when the flow happens and you know you’re not going to miss stuff, right. You really keep peace and I’m glad that you brought that up with the tracker, because again, most people don’t realise the foundations not on solid ground until the cracks start happening, unfortunately, right? Justin: right, right, yeah. So for those of you dentists that come to me, hit me up about SEO, you know, this is something that I recommend, because we need to know, if all your calls from SEO, are from, say, emergency calls at 2 AM or whatever, you might not want to take those calls, and if you don’t get those calls yourself, this is the kind of service that can help you, and so, even if there not coming at 2 AM, if they’re coming at the lunch hour, if they’re coming at 5:02 PM, you just never can control when these people who are googling your services are going to call you, so yeah. I’m defiantly on board with this; I think it’s going to help with ROI, specifically with SEO, especially because it can be a little bit trickier to rack SEO, compare to like, ad-words and direct mail, and things like that where you can use a tracking number. So I really really like this. Justin: and the phone is not that big! Spencer: you cannot own that big phone by the way, you can own a smaller phone, is what you can. But, Justin, it was great, thanks for having me on your show. Always love chatting with you. If the audience members want to get in touch, call me at the Yes tracker number, or go to the Yes Track site, happy to talk phones with anyone who wants to talk phones. Justin: cool. Alright, thanks to our listeners, and if you have any questions, hit us up on the comments below on YouTube, on Dental Town, wherever you find this, and I’m the Dental Marketing Guy, thanks for watching the Dental Marketing Guy show.